Art with Heart: Sizzix GIVEAWAY ! и шаблони за рязане от новата им колекция? 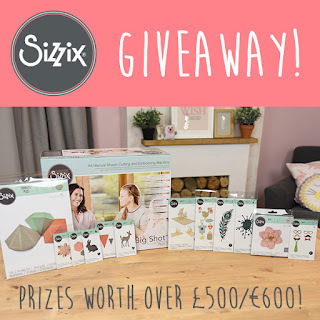 Would you like some free Sizzix® goodies? You could be in with a chance to win one of our Big Shot™ Plus Machines along with a range of our new dies so that you can get creating straight away! We have 2 fantastic bundles to giveaway worth over £250/€280 each! All you need to do is provide your name and email address to enter. What are you waiting for? Enter today! Closing Date: Friday 14th July 2017 at 10am BST!